Hi everyone, Anne here today using the Fan die along with some Distress Oxides and Nuvo Embellishment Mousse. 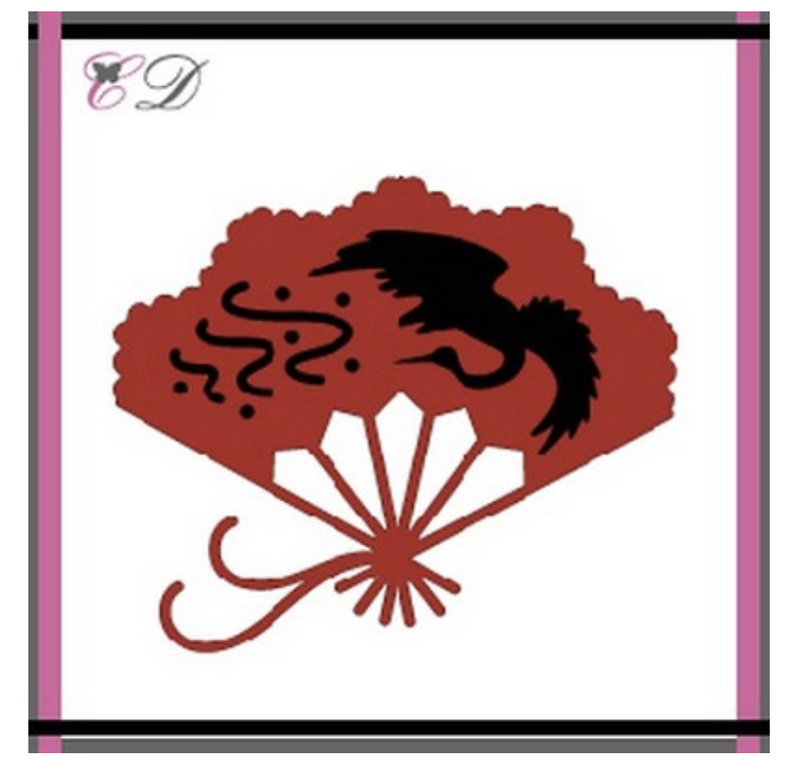 My card today uses the inlaid die technique. To start out, I die cut the Fan from white cardstock. I saved all the negative pieces for future use. Then I started to add color to the main negative piece by applying Distress Ink (Festive Berries) and Distress Oxide (Fossilized Amber). Once I was happy with the blending, I added another layer of texture using a The Crafters Workshop stencil (Mini Chicken Wire Reversed) and Nuvo Embellishment Mousse (Indian Gold). 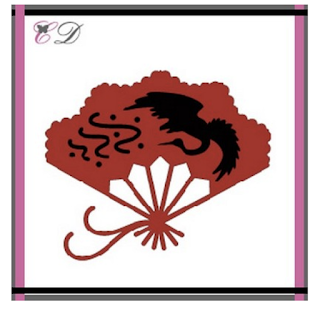 The die cut Fan was lightly covered with Black Soot Distress Oxide. The DO gave it more of a bluish grey tone instead of a deep black tone. I also covered the mat below the focal point with more Indian Gold embellishment mousse. This is what is showing through the cutouts on the Fan. A Zva Creative self adhesive embellishment adds more interest. 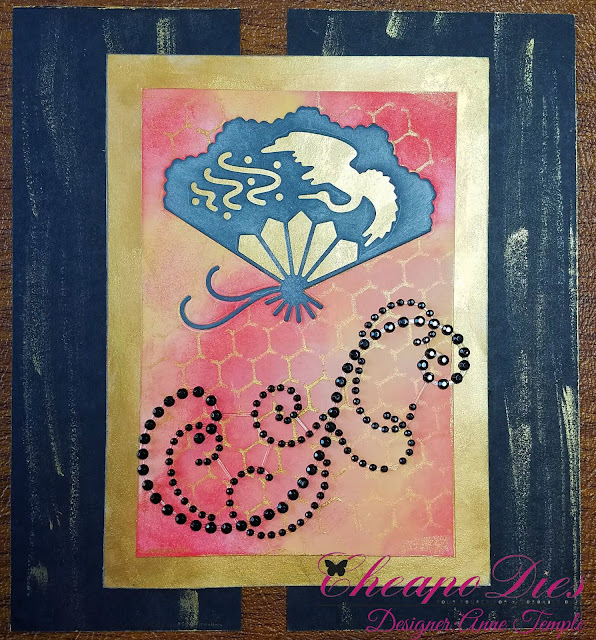 The final step was to add two strips of black cardstock behind the focal point. I wanted a gap between the two, and if you look closely, the strips are of different widths. All of this gives it a bit of "not the normal type card" look. Streaks of Indian Gold embellishment mousse finish it off. 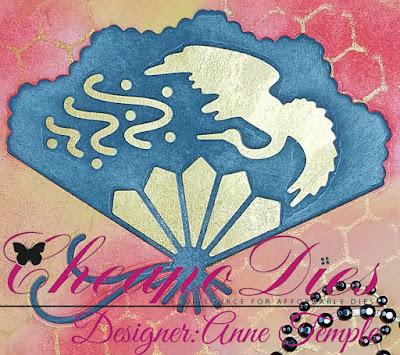 Beautifully created Anne, and I always love how you create your backgrounds, so very pretty! !